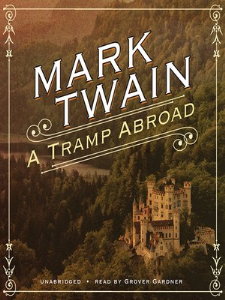 In April 1878, Mark Twain and his family traveled to Europe. Overloaded with creative ideas, Twain had hoped that the sojourn would spark his creativity enough to bring at least one of the books in his head to fruition. Instead, he wrote of his walking tour of Europe, describing his impressions of the Black Forest, the Matterhorn, and other attractions. 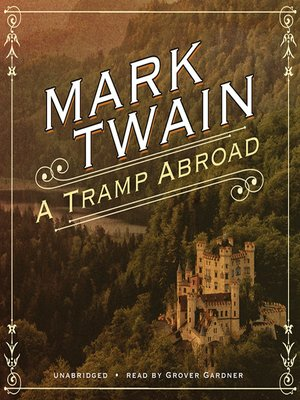 Neglected for years, A Tramp Abroad sparkles with Twain's shrewd observations and highly opinionated comments on Old World culture and showcases his unparalleled ability to integrate humorous sketches, autobiographical tidbits, and historical anecdotes in a consistently entertaining narrative. Cast in the form of a walking tour through Germany, Switzerland, France, Italy, and England, A Tramp Abroad includes among its adventures a voyage by raft down the Neckar and an ascent of Mont Blanc by telescope, as well as the author's attempts to study art—a wholly imagined activity Twain "authenticated" with his own wonderfully primitive pictures. This book reveals Mark Twain as a mature writer and is filled with brilliant prose, insightful wit, and Twain's unerring instinct for the truth.